The Frameworks GFW-KEY-BNCH-1 Keyboard Bench features a lightweight, heavy-duty construction with a deluxe thick padded seat cushion. 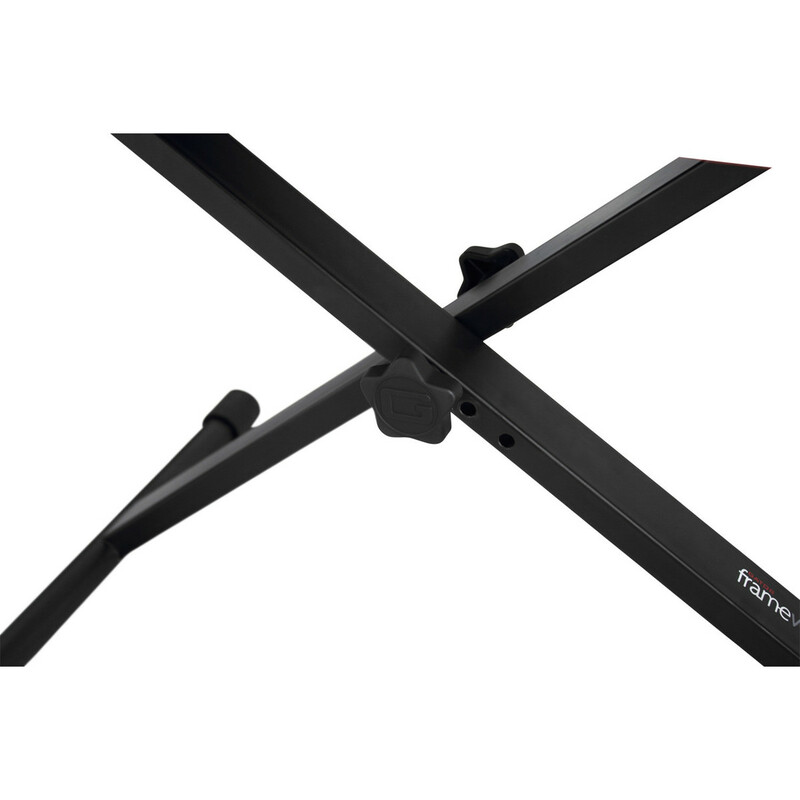 The height of the Frameworks GFW-KEY-BNCH-1 can be adjusted from 457.20mm to 635mm (18'' - 25''), allowing you to find the perfect seating position. 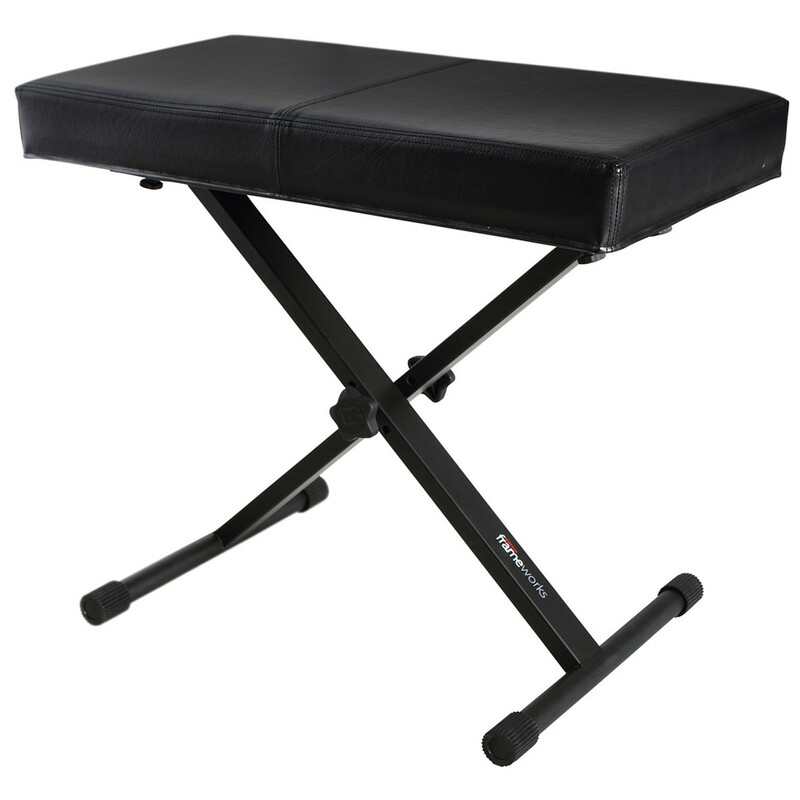 Complete with a collapsible design and rubberised levelling feet, the Frameworks keyboard bench is perfect for performances and practice sessions.